In a Tuesday interview with CNN's Christiane Amanpour, former FBI Director James Comey conceded that his decision to announce in October 2016 that the FBI was reopening an investigation into Hillary Clinton's use of a private email server may have helped Trump win the election, but defended it as "the least terrible option." Amanpour: "Do you ever think that you might be responsible for the election of President Trump? Does that keep you up at night?" Comey: "Sure. And I hope someday somebody proves that we were irrelevant. ... I hope we had no impact. I hope it's proven that it was irrelevant. But all it does is increase the pain. It doesn't change how I think about the decision. My view and the view of my team was: I cannot conceal from the American people that the investigation we told them, and fought to tell them, is done, is done, is done — is not done, and the result could change." What else: Comey also said Attorney General William Barr "deserves the benefit of the doubt" with respect to redacting certain parts of the Mueller report before releasing it. "Give him a chance to show us what he feels like he can't show us," Comey said during the interview. 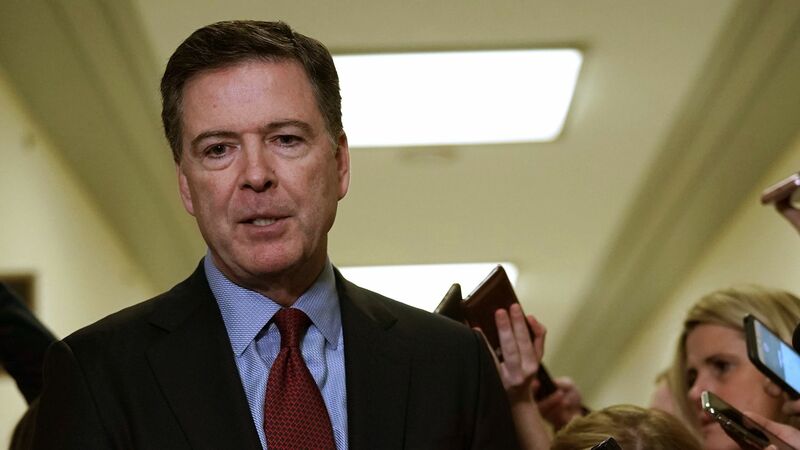 Last week, Comey pushed back against Barr's decision not to pursue obstruction charges against Trump. Sen. Lindsey Graham (R-S.C.), chairman of the Senate Judiciary Committee, has indicated that he plans to question Comey in a new probe of the FBI's decision to open an investigation into Trump. Go deeper: Comey calls Mueller's position on Trump obstruction charges "confusing"